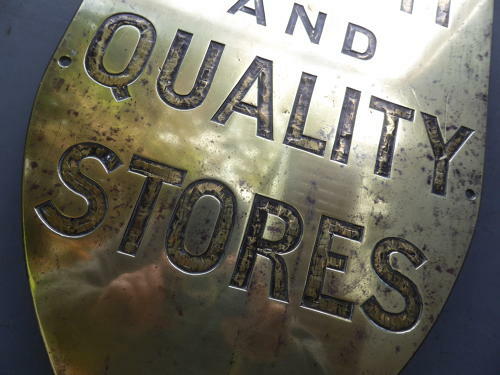 A wonderful early antique brass 'Cash And Quality Stores' shop sign. A superb & seldom seen Victorian shops sign, the thick brass shield adorned with hand carved lettering & a gently bevelled edge. An extremely good example & a good size, top quality.